Standard waney lap fance panel, 1830mm wide & and available in several height options. 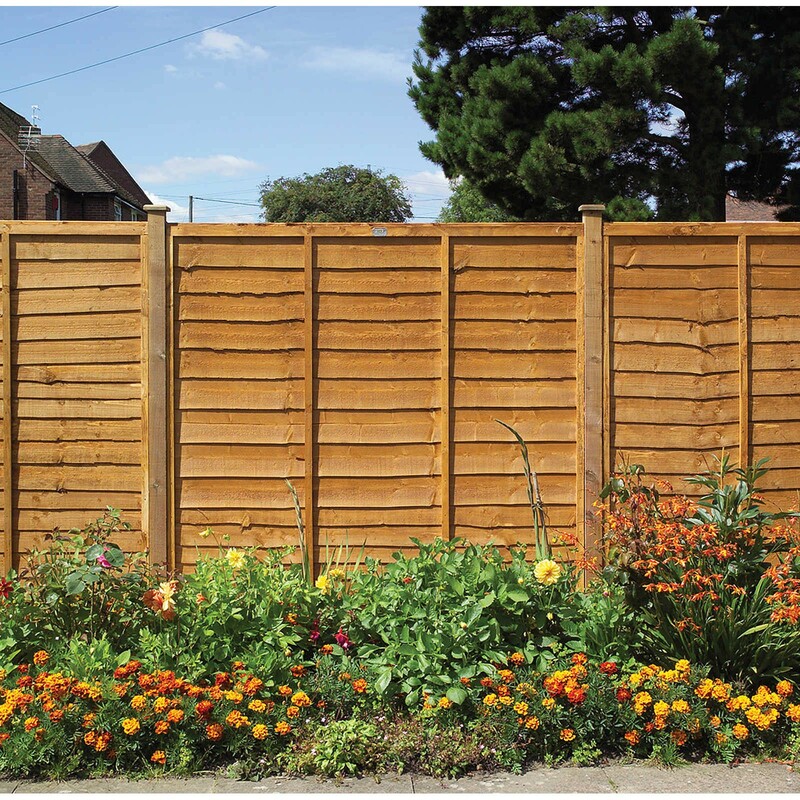 An overlap panel constructed using double waney edge slats that are secured into a neat rebated frame, for additional strength. Pressure-treated golden brown, offering protection against wood rot and decay.